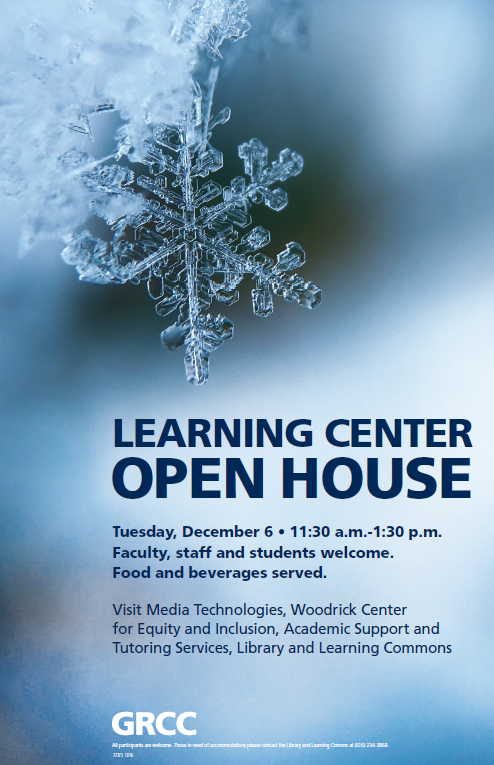 Learning Center Open House – Today! All students, faculty & staff are invited to the 3rd Annual Learning Center Open House – TODAY – Tuesday, November 13, from 11:30 – 1:00. Come join us for lunch, good conversation, and stress reduction before exams commence! The Learning Center is more commonly called the Library – and is labeled as the LRC (building #10) on the Campus Map. Comments Off on Learning Center Open House – Today! Learning Center Open House – You’re Invited! All students, faculty & staff are invited to the 3rd Annual Learning Center Open House on Tuesday, November 13, from 11:30 – 1:30. Come and eat a mobile lunch with us as you visit each department in the building! The Learning Center is more commonly called the Library building – and is labeled as the LRC (building #10) on the Campus Map. Comments Off on Learning Center Open House – You’re Invited! Save the Date – Learning Center Open House! 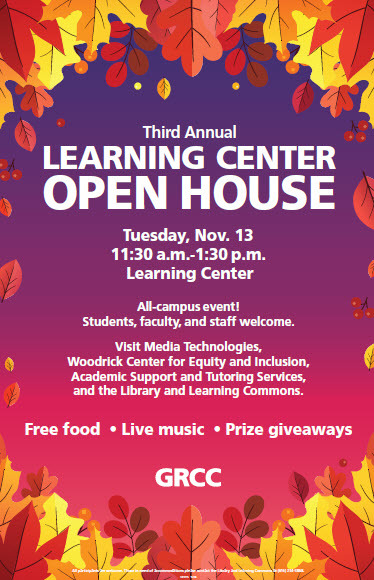 The Library & Learning Commons, Media Technologies, the Woodrick Center for Equity & Inclusion, and Academic Support & Tutoring Services invite EVERYONE to join us for a free lunch, entertainment, and prizes at the Learning Center Open House. 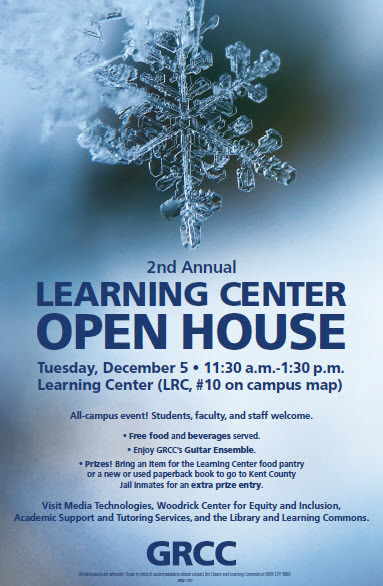 Mark your calendar for Tuesday, November 13th from 11:30 – 1:30 for our 3rd annual Learning Center Open House. More details to follow! 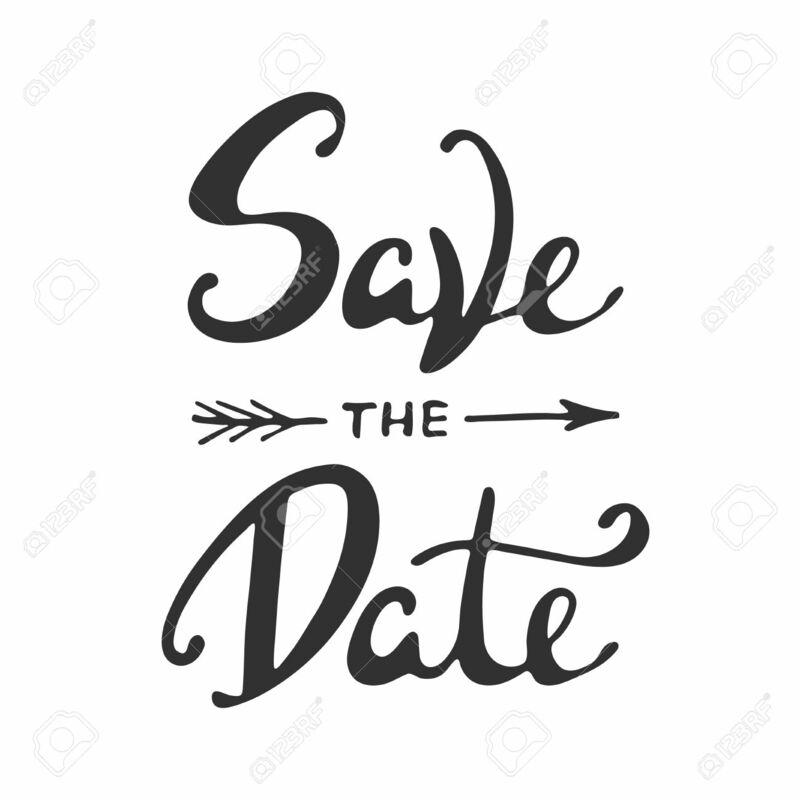 Comments Off on Save the Date – Learning Center Open House!